So I decided to start the year by continuing to commemorate heroines with the book “Pride and Prejudice” by Jane Austen. I began this book in November outside the blog and I thought it would make an excellent start for this year. 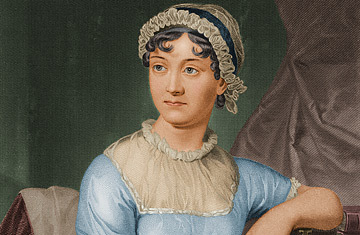 Ms. Austen stood out during her short life and made a statement about love and life. I found in reading her book that people haven’t changed in over 200 years. Men are still men and people are still people. “Pride and Prejudice” tells the story of Elizabeth Bennet, one of the sisters who must marry rich, as she confounds the arrogant, wealthy Mr. Darcy. We have all met a Mr. Darcy, they are every where, while times have changed and men today may not immediately be looking for a wife, they are looking for someone. What they want that someone for, may be a different story. For my women readers – could you imagine living in a time where your choices were to either get married or die an old spinster? It sounds like a death sentence to me. I am so happy that women today have so many more opportunities, more independence to be whoever they please without anyone telling them who they should or shouldn’t be with. 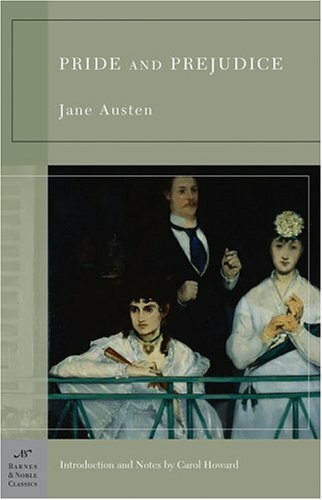 “It is a truth universally acknowledged that a single man in possession of good fortune must be in want of a wife,” Ms. Austen writes. Today we as women make the choice of the men we choose, we look for men of “good fortune” in order to have a comfortable life. But we as women can create a comfortable life of our own without the help of a man. Are we better off then women of Ms. Austen’s time? Have we come far enough? Or do we fall short? Well, I hope you will join me in reading “Pride and Prejudice” and enjoy it as much as I have so far.